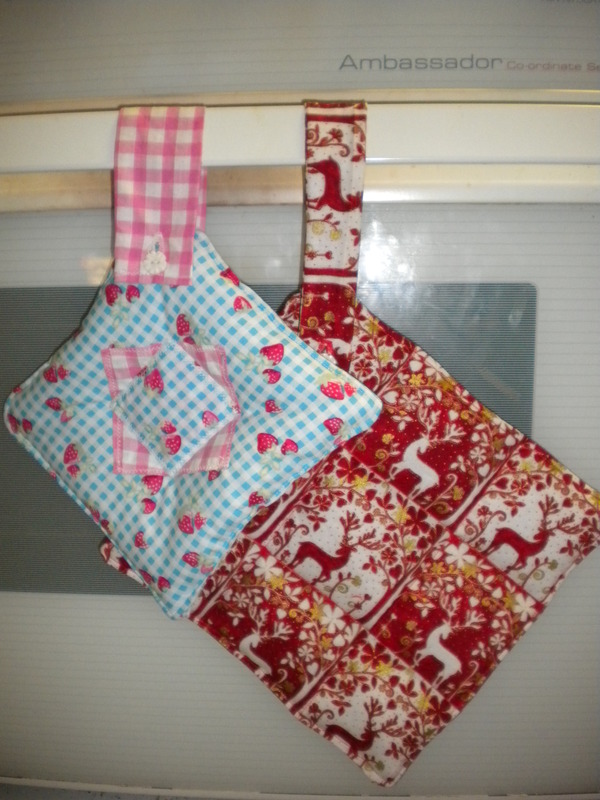 Growing up, we didn’t use pot holders to take things out of the oven, we used tea towels. This, of course, resulted in many burns and the throwing of trays onto the bench. 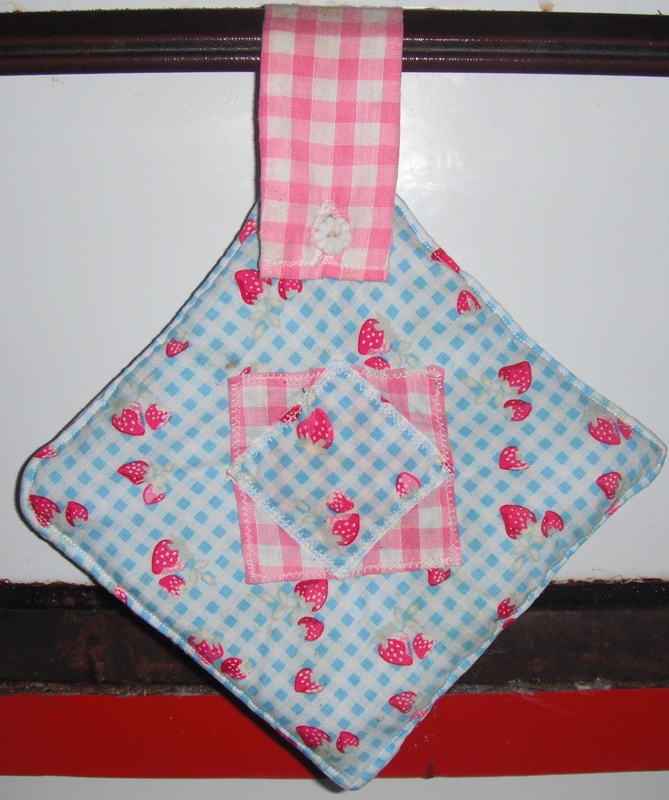 I decided to make pot holders a few years back as a practical way to preserve handsome fabrics (I’m not a quilter). I have now realised that they are far more protective than tea towels against heat, are charming gifts, distinctive kitchen decor, and can be used as large coasters to absorb condensation from beer-steins or cold containers. I use fabrics from deconstructed ‘failed’ sewing projects, and scraps I have lying around. I cut two squares of the fabric and lay them right side facing each other. I place several layers of wadding on top and sew around 3 ½ edges. I have yet to experiment with binding tape. 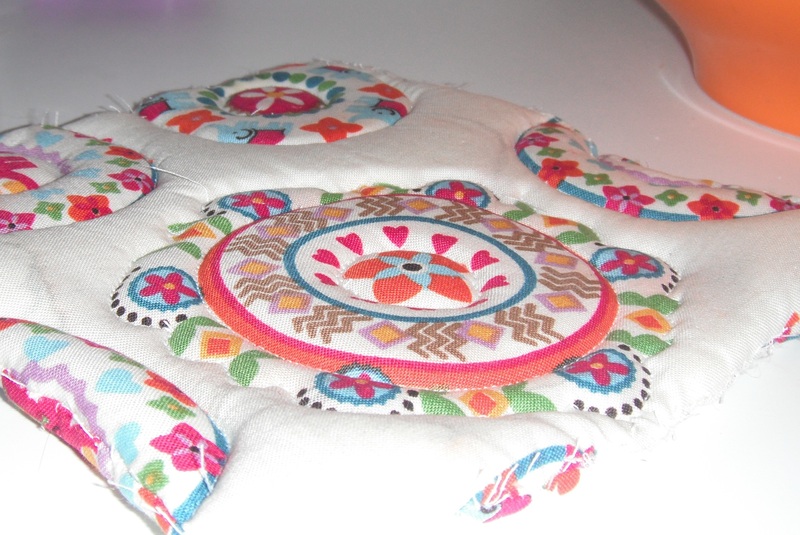 I then choose a pattern to sew into the middle to flatten it out. Handle for hanging: Pin long fabric or ribbon between right-side facing fabric pieces before sewing edges. Sew both edges if hanging on a hook. To be slipped through an oven handle, sew one end, make a button-hole on the other end and sew a button in place.